Canine lymphoma is a serious cancer in dogs. Usually seen in middle aged dogs, it can strike a dog of any age. While long term survival rates are very low, treatments are available to prolong the dog's life. Canine lymphoma is a common form of cancer in dogs. It occurs in the lymph nodes and in organs such as the liver and spleen. It is an aggressive cancer, and it can cause death within one to two months if left untreated . The causes for this cancer are unknown. Environmental factors, such as herbicides, pesticides and strong magnetic fields are suspected causes. Multicentric lymphoma occurs in the lymph nodes and lymphatic organs. This form is characterized by enlarged lymph nodes on the neck, groin and under the front legs. Alimentary lymphoma involves the digestive tract. This type may show no symptoms until the late stages. In the later stages, vomiting and diarrhea are significant signs. Mediastinal lymphoma affects the chest and thymus gland. It is a rare form of the disease. It is characterized by breathing difficulties, fatigue and lethargy. Cutaneous lymphoma strikes the skin and superficial lymph nodes. Lumps and raised lesions are the characteristics of this type. Other general symptoms of canine lymphoma are fever, vomiting and loss of appetite. The dog may also lose hair and weight. Owners may also notice an increased thirst and more frequent urination. The most common symptom that owners find are lumps, especially in the neck. The exact testing for the disease depends on the location of the lumps or tumors. A biopsy of the affected lymph nodes will reveal the presence of canine lymphoma. The veterinarian may perform an ultrasound or take x-rays to confirm the involvement of the organs. The vet may also recommend blood tests and a bone marrow biopsy to determine the extent of the cancer. Canine Lymphoma is a systemic disease, meaning it effects the entire lymphatic system. Surgery is not usually recommended, nor is radiation treatment. 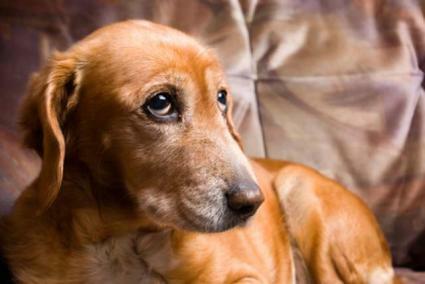 Chemotherapy is the preferred treatment and is successful in prolonging the dog's life. This therapy is usually a combination of oral and injected drugs given one a week. Dogs usually tolerate chemotherapy well. Chemo treatments of canine lymphoma often result in one or more remissions of the cancer. Immune modulators may also be included as a treatment. These drugs modify the immune systems reactions to the cancer cells. Your vet may also recommend nutritional therapies such as giving your dog a low carbohydrate diet or a diet rich in Omega-3 fatty acids. There are many new treatments being developed for lymphoma. The use of stem cells to combat the cancer looms on the horizon. There are also studies on high dosage chemotherapy and different drug combinations. Some owners also explore alternative medicine treatments in addition to chemotherapy. Most of these treatments are designed to boost the immune system so the body can fight the cancer on its own. You should discuss alternative treatments with your vet before administering them to your dog. Left untreated, this cancer is usually fatal in a short period of time, about four to eight weeks. With treatment, the dog's life can be extended approximately 12 months on average. Longer survival rates have happened, but they are less common. The earlier the cancer is treated, the better the possibility of a longer survival time. It's important to realize that extending a dog's life by a year represents as much as ten percent of the dog's lifespan. That is similar to extending a human's life by seven or eight years. A diagnosis of canine lymphoma is serious. There are successful treatments that can extend the life of your four-legged companion. New protocols are also being developed. Talk with your vet about the options for your dog.